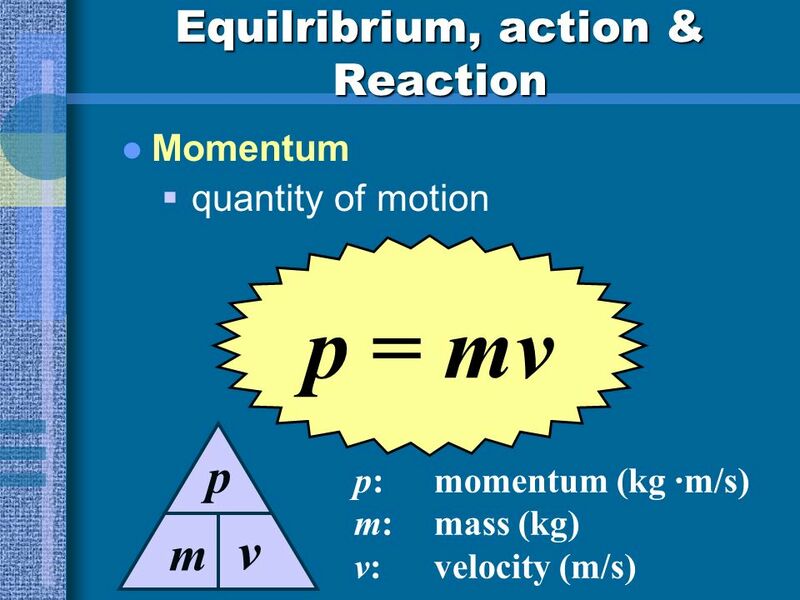 Equilribrium, action & Reaction Momentum quantity of motion p = mv p:momentum (kg ·m/s) m:mass (kg) v:velocity (m/s) m p v.
Download ppt "Equilribrium, action & Reaction Momentum quantity of motion p = mv p:momentum (kg ·m/s) m:mass (kg) v:velocity (m/s) m p v."
Momentum and Collisions Momentum and Collisions Dr. Robert MacKay Clark College, Physics. 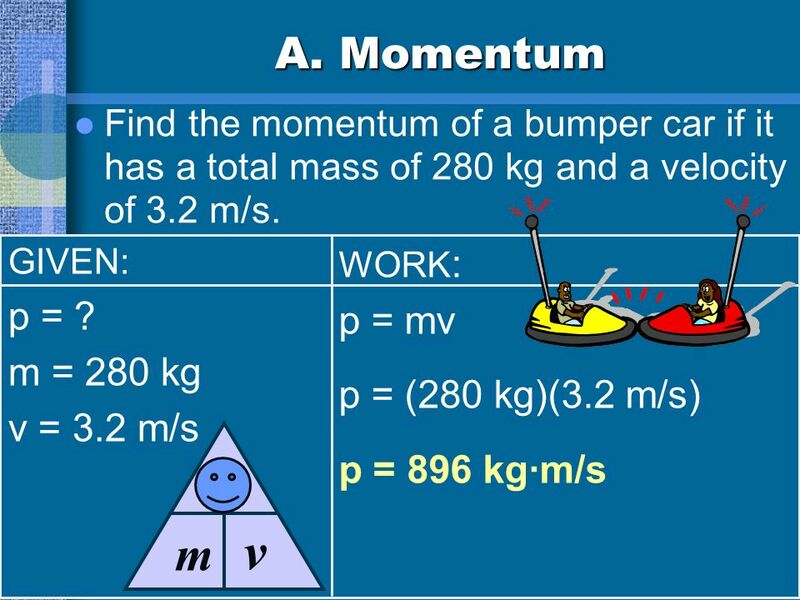 Warm-up U7-#1 1/13/14 1) What is the force felt on a 3200kg truck moving at 16 m/s which runs into a haystack bringing the truck to a stop in 25.6 seconds. 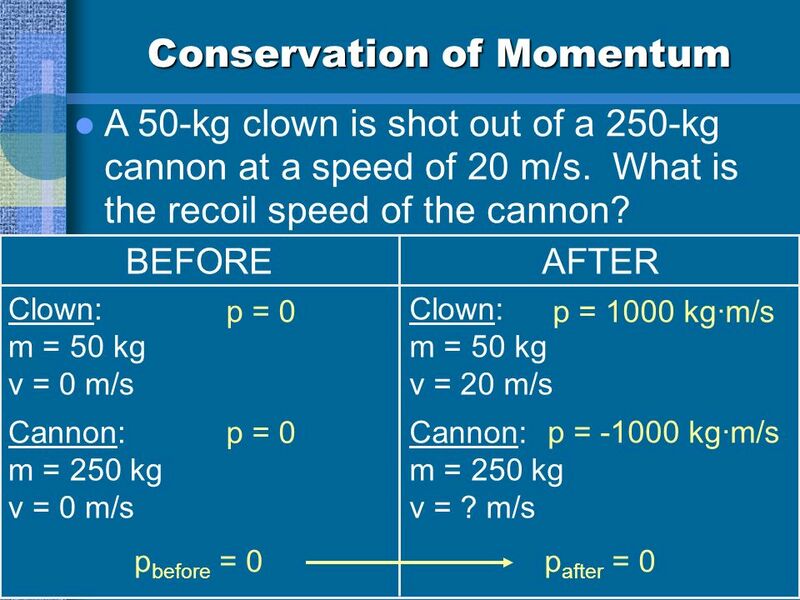 Momentum, Impulse, and Collisions. 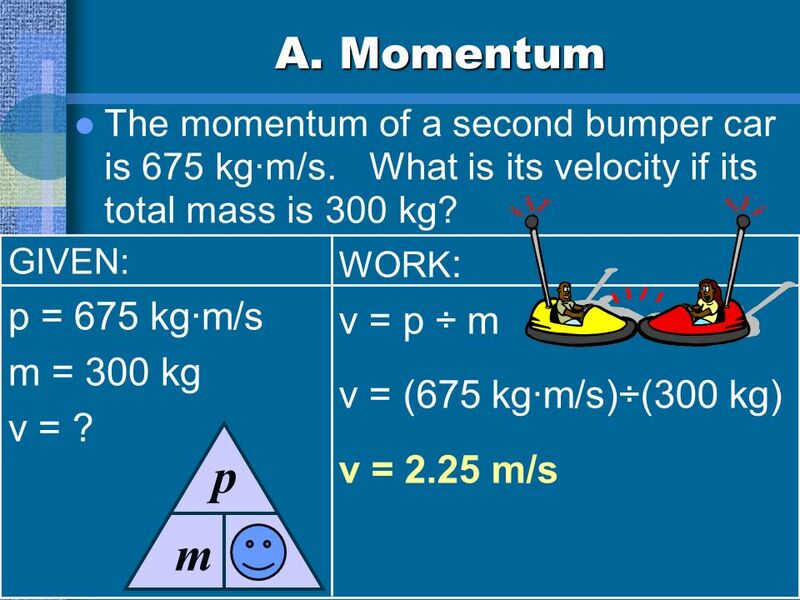 Momentum (P) A quantity that expresses the motion of a body and its resistance to slowing down. 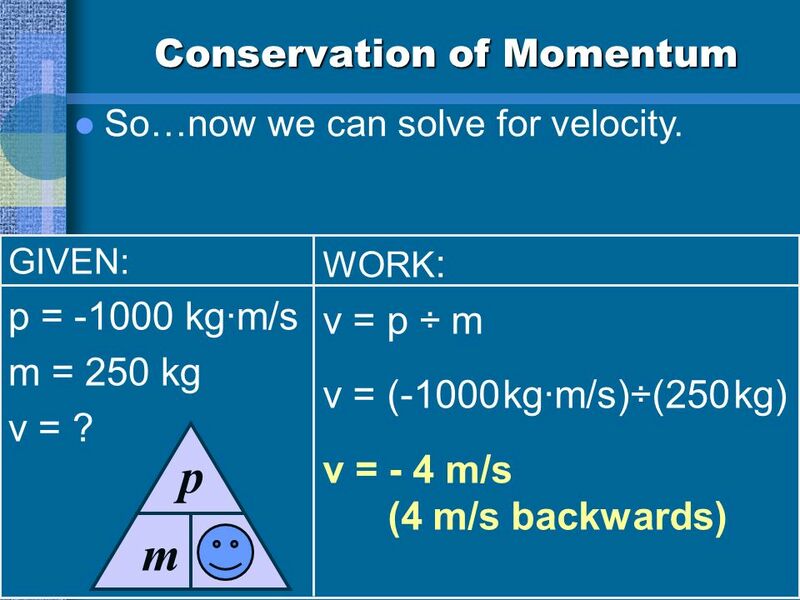 P = mv P = momentum. Collisions Deriving some equations for specific situations in the most general forms. Chapter 5 Momentum Ewen et al. 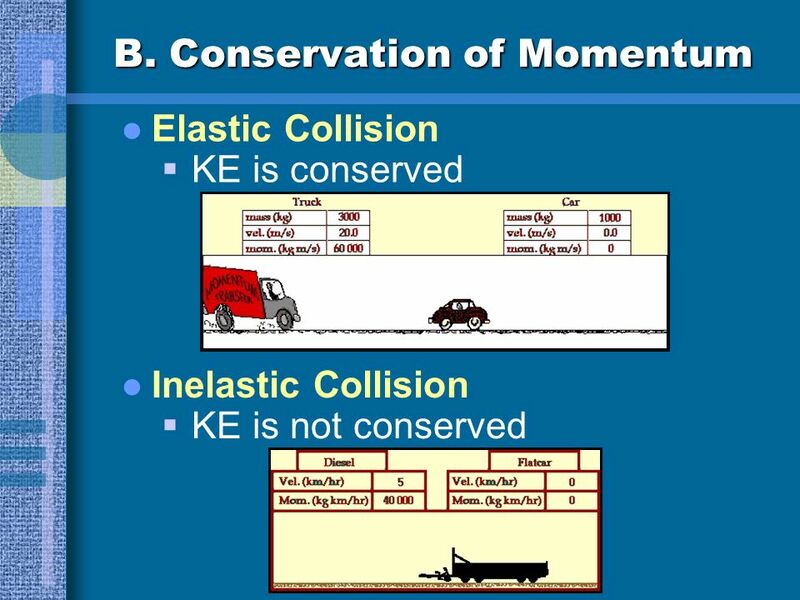 2005) Objective: Apply the law of conservation of momentum to both elastic and inelastic collisions of two objects. Apply. Problem of the Day An 1800 kg car stopped at a traffic light is struck from the rear by a 900 kg car, and the two become entangled, moving along the same. Momentum and its Conservation Chapter 9. 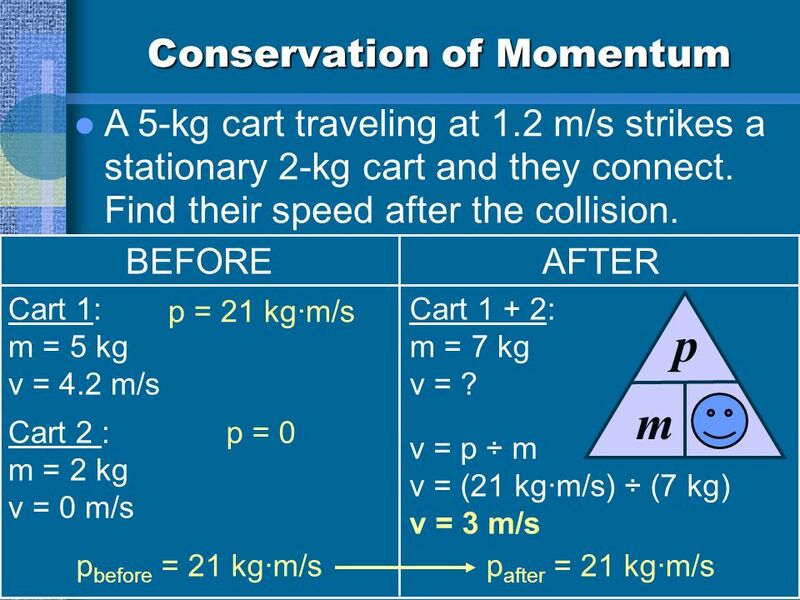 Momentum Objects in motion are said to have a momentum.Objects in motion are said to have a momentum. Momentum. 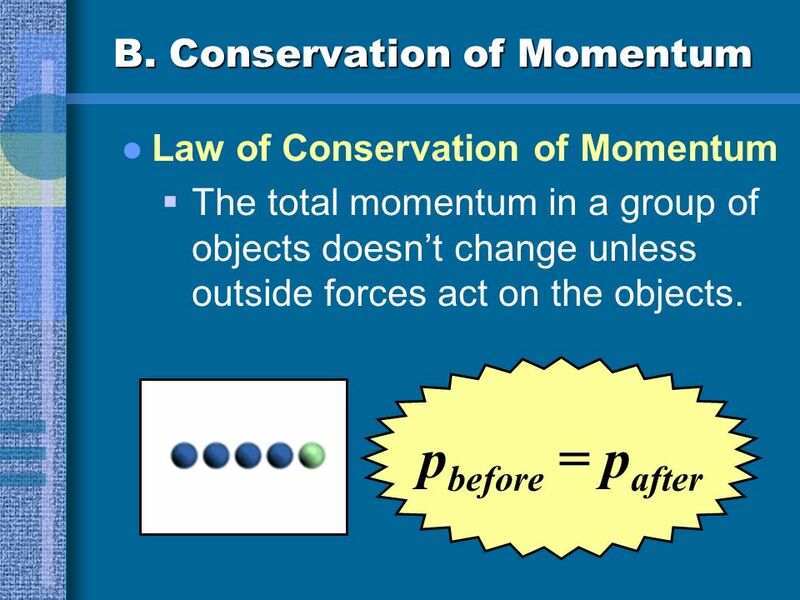 Motion & Forces Action and Reaction  Newton’s Third Law  Momentum  Conservation of Momentum.